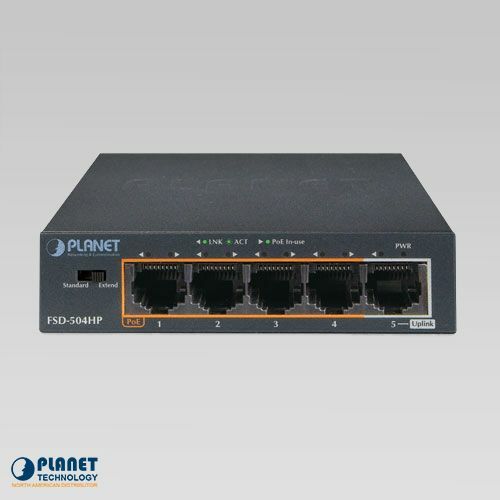 PLANET has now integrated a new “Extend” operation mode into two of their switches allowing network administrators to deploy PoE beyond the standard 100m limitation without an extender. 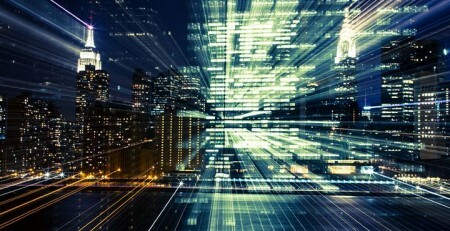 Ethernet’s 100-meter link limitation oftentimes forces network administrators and system integrators to deploy additional units in a network to extend the reach of Ethernet. 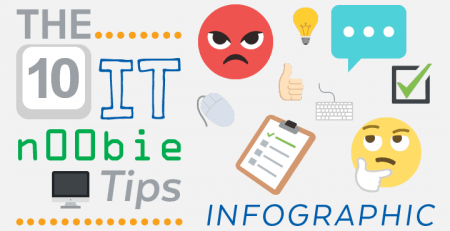 There are multiple solutions available for network administrators such as Ethernet extenders and fiber media converters. But PLANET’s new “Extend” mode allows network administrators to forego the deployment of additional equipment to achieve link lengths that are greater than 100 meters. 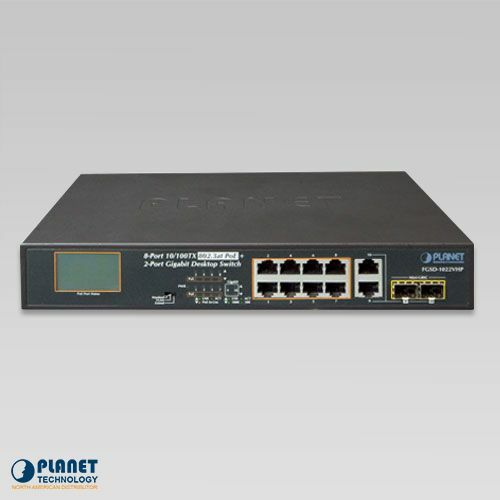 The FSD-504HP is a 4-Port 10/100Mbps 802.3af/at Desktop switch with an additional 10/100 Mbps interface and a total PoE budget of 60W. 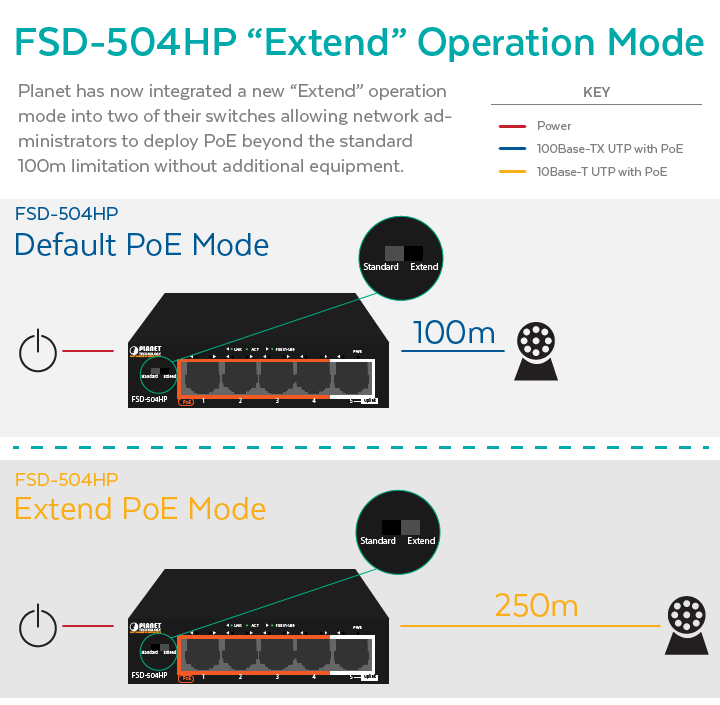 The FSD-504HP boasts a small form factor but with its new “Extend” operation mode, users can now achieve 250m at 10 Mbps and surpass the standard 100 meter Ethernet limitation without any additional equipment. This feature greatly simplifies the deployment of 802.3af powered devices such as IP surveillance cameras for example, by eliminating the need to rely on Ethernet extenders to achieve distances beyond 100 meters. Similarly, the FGSD-1022VHP is an 8-Port Fast Ethernet Desktop Switch that can achieve up to 250-meter Ethernet links when operating in the “Extend” mode. When operating in the “Extend” operation mode, the FGSD-1022VHP operates on a per-port basis at 10 Mbps duplex operation but can support up to 30 Watts of PoE power output over a distance of up to 250 meters overcoming the 100m limit on Ethernet UTP cable. The FGSD-1022VHP provides an additional solution for 802.3at/af PoE distance extension that eliminates the need to rely on additional Ethernet Extender. Furthermore, its VLAN isolation function isolates ports so as to prevent broadcast storm and defend against DHCP spoofing in the “extend” operation mode. At 10 Mbps performance rates when operating in the “Extend” mode, the unit also provides sufficient bandwidth to power common networking applications such as IP surveillance cameras and even Voice over IP (VoIP) Phones. 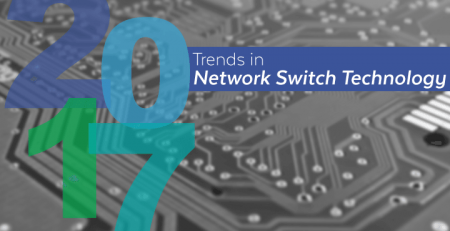 The desktop switch greatly simplifies PoE deployment, inherently extending Ethernet up to 250 meters when operating in the “Extend” mode while achieving 10Mbps performance rates. 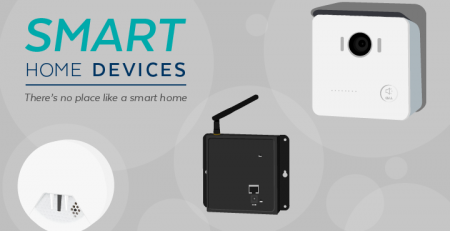 The FGSD-1022VHP boasts a PoE power budget of 120 watts and an LCD display that make it simple to monitor the PoE port status of connected PoE devices. 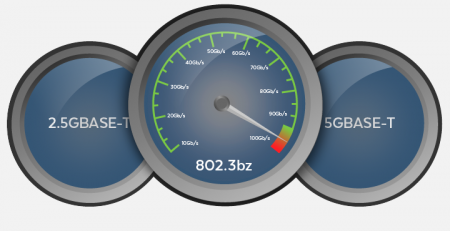 These LCD Display panels require no additional computers, web browsers, or software and they simplify the task of monitoring the PoE port status of connected powered devices. 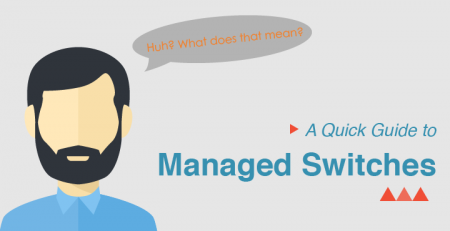 If network administrators find that the desktop switch has shut down for example, the LCD monitor will display an error message describing the reason of the malfunction. For example, the LCD monitor might display an error due to over-heating. The LCD display also renders real-time PoE output power per connected device. For further deployment flexibility, the unit also boasts an additional 2 Gigabit TP/SFP interfaces. These units utilize a special chipset that can isolate and amplify the Ethernet signal so that it can travel farther distances. At 10 Mbps, these desktop switches provide sufficient speed rates to support common networking applications. These units are one of the first product roll outs to feature the new “Ethernet Extend” Mode. 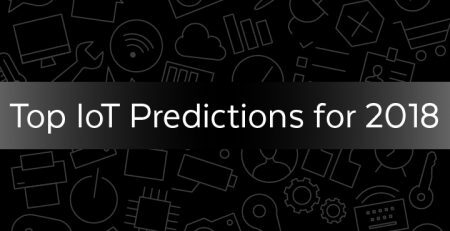 PLANET ultimately plans to roll out more models that integrate the “Ethernet Extend” Mode. 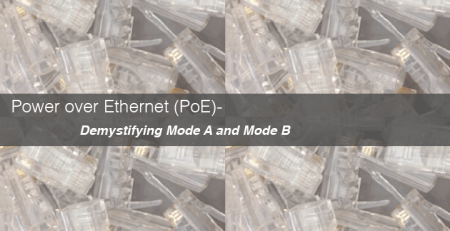 Be on the lookout for more product options with more PoE Ports that follow a similar architecture. 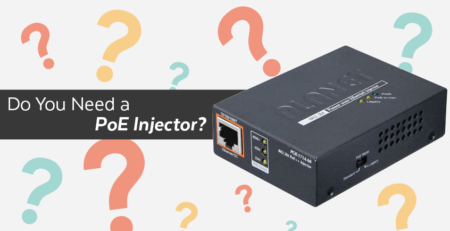 Ensure to subscribe to our newsletter (below) to learn when we announce new devices with the integrated Ethernet “Extender” mode! Will it extend data only and not pass through POE to a camera that has local AC power?